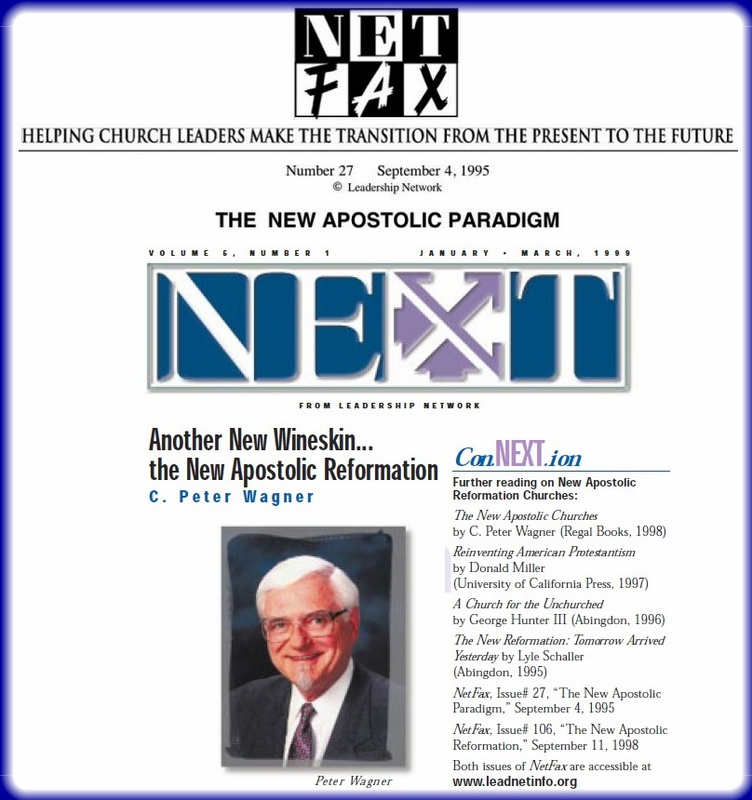 NAR "APOSTLE" C. PETER WAGNER: "WE TEACH VERY STRONGLY ON THE SEVEN MOUNTAINS"
Online apologetics and discernment work Apprising Ministries is keeping track of the cult of the New Apostolic Reformation as it attempts to make their false teachings, such as their core mythology of dominionism mainstream evangelical. You need to know that the NAR was aided and abetted by the spiritual black-hole Leadership Network. In a sad sense, these phony prophets of the NAR—whose false doctrine isn’t really any different from Word Faith pastrix Cindy Trimm—are evangelical by its apostatizing standards. The last clip at the very bottom of this post is an advertisement for the 3rd anniversary 2010 Kingdom Economic Yearly Summit (KEYS), which featured such NAR spiritual wingnuts as Wagner himself, Dr. Lance Wallnau, Oz Hillman, and Rick Joyner.